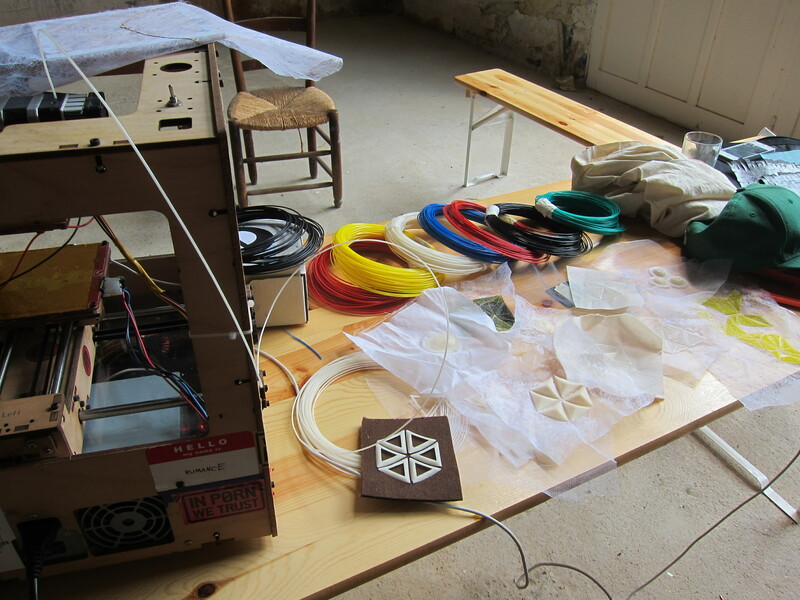 New hybrid tools combining digital fabrication and traditional craft disciplines represent new challenges and possibilities for creation today. 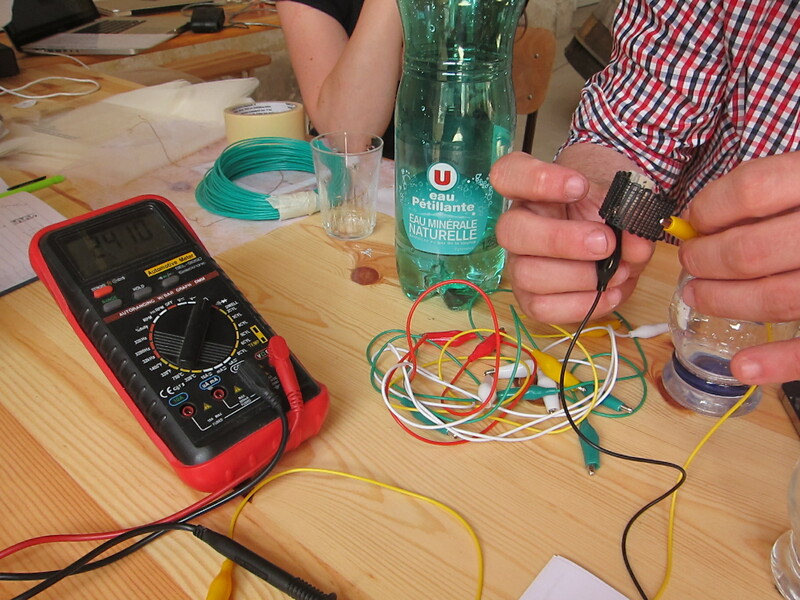 In this skill-share workshop, we will give an overview about current developments and guide participants to experiment themselves. 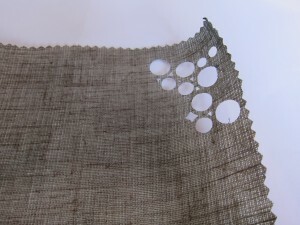 We will focus on two digital techniques: 3D printing and numerically controlled cutting, and mix them with fabric and textile techniques. Participants are invited to try them out and think about potential use in further projects throughout the Summer Camp and beyond. 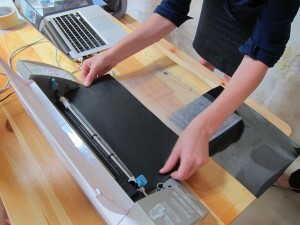 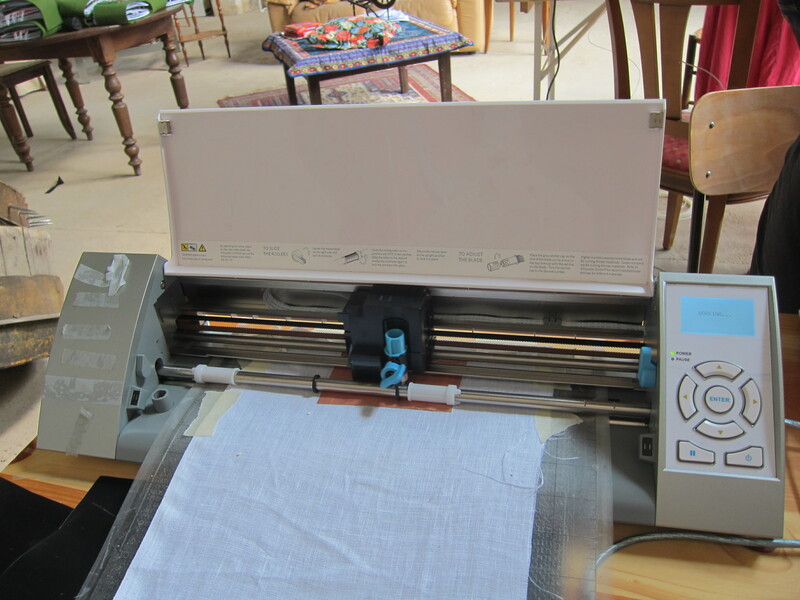 The vinyl cutter machines are usually used for craft making projects, where the substrates are predominately paper, adhesive vinyl and card materials. 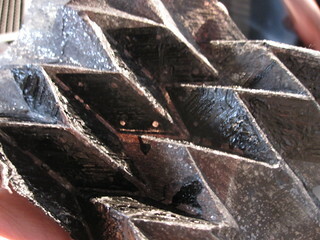 The cutting blade can be controlled to cut at difference depths, which makes this an ideal process for cutting or scoring. 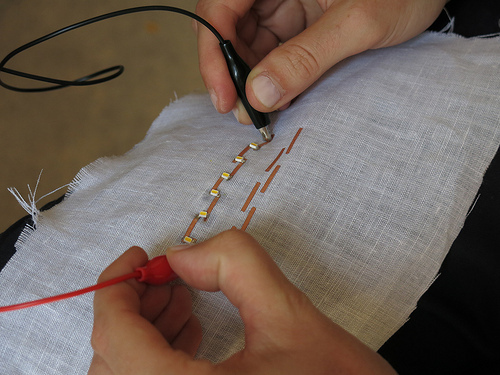 In terms of e-textiles, this process has the benefits of laser cutting but is able to perform on a wider range of material bases and without the concern of burn or singed edges. 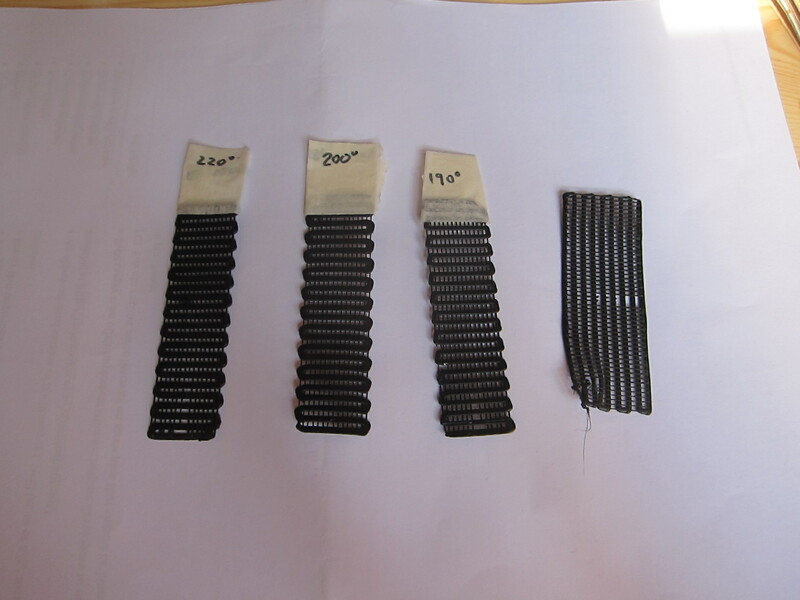 Quick testing of different cutting intensities on the selected base material is required before proceeding with the final design, as this helps evaluate what was most efficient. Graphic pattern files can be uploaded and cut within minutes and is fast and easy to correct/ modify designs. 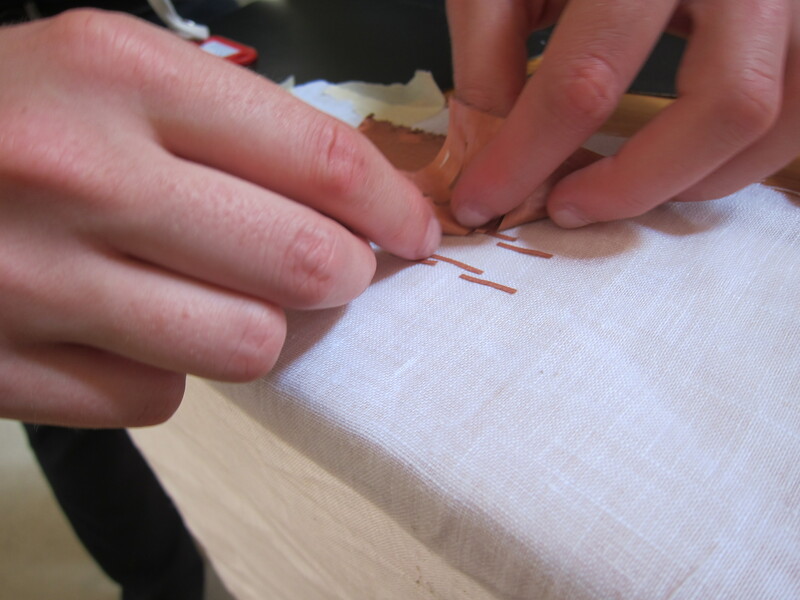 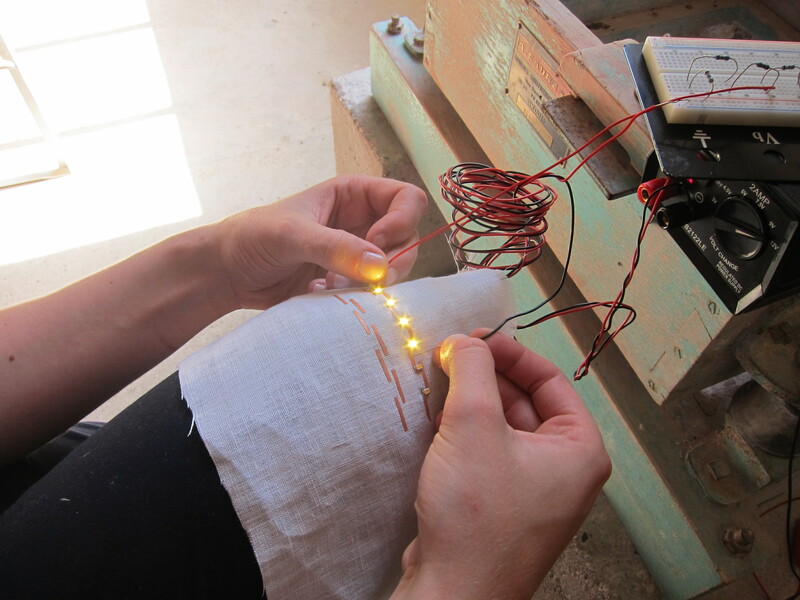 During the workshop we were able to cut through liquid crystal coated linen fabric for aesthetic effects and copper fabric (with adhesive interlining) to make LED circuits. This technique clearly has a lot of potential for e-textiles and through this short workshop a lot of ideas were inspired. The3D printing demonstrated how structures can be manipulated for e-textile projects (a Makerbot was used during the workhop). 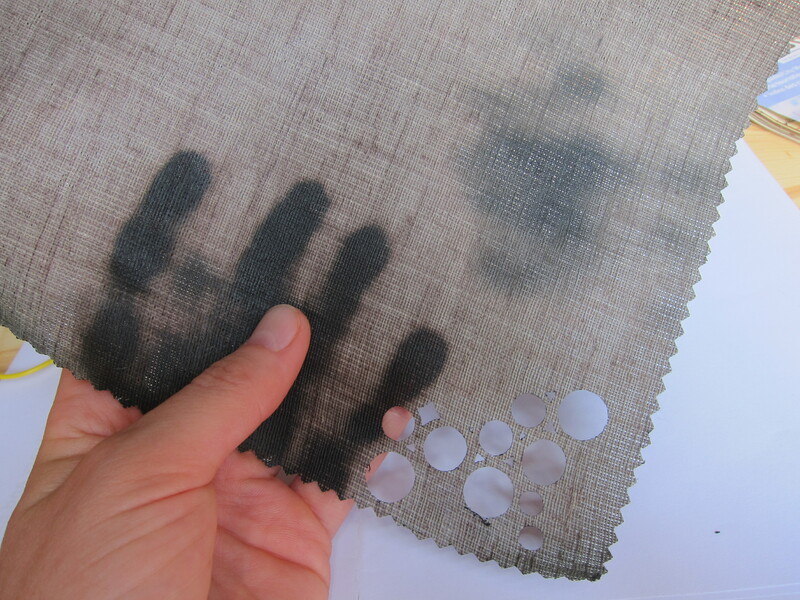 Using 3D printing to deposit directly onto fabrics is something that is less explored, but can achieve quite dramatic and effective results, as shown by some of Martin’s samples. Using 3D modelling software, structures can be visualised and printed directly onto substrates (again, with some pre-tests to evaluate what works best), or used to print objects that can later be integrated into a project. 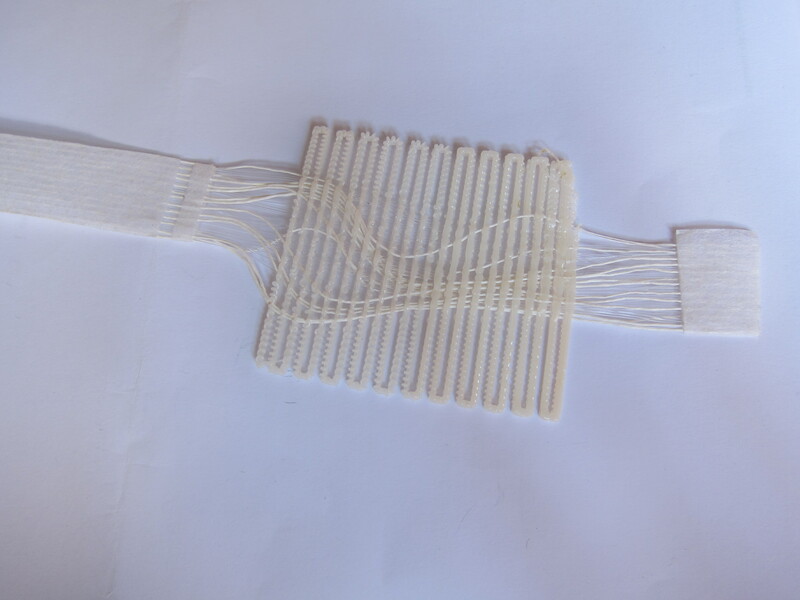 During the workshop samples were printed with carbon based ABS and tested for conductivity; overlaying structures onto fibre optics to distort light emission, and printing grids in different layers/ intensities to incorporate into projects. 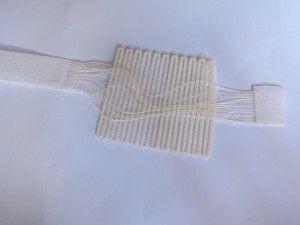 As 3D printing is still relatively new and evolving as a process, the workshop demonstrated that the combination of using such a technique with textiles and for e-textiles could lead to some really exciting possibilities, particularly with the introduction of new printable materials.